Home » Where did my LinkedIn Posts go? You spent time engaging with the content on your LinkedIn Feed. You wrote posts, you commented on, liked and even shared other people’s posts. Perhaps you even composed articles using LinkedIn’s publishing platform. Once your work is unleashed… where does it go? This information will show up on the LinkedIn Feed of your first-degree connections and depending on your settings, it may show up on the LinkedIn Feed of users not within your network. 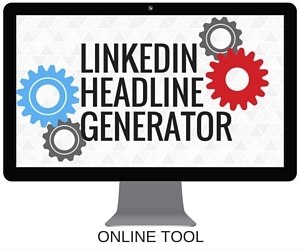 The LinkedIn Feed is the stream of content that cycles through LinkedIn’s home page. It consists of updates/posts from your network and companies you follow, recommended content, and sponsored content. 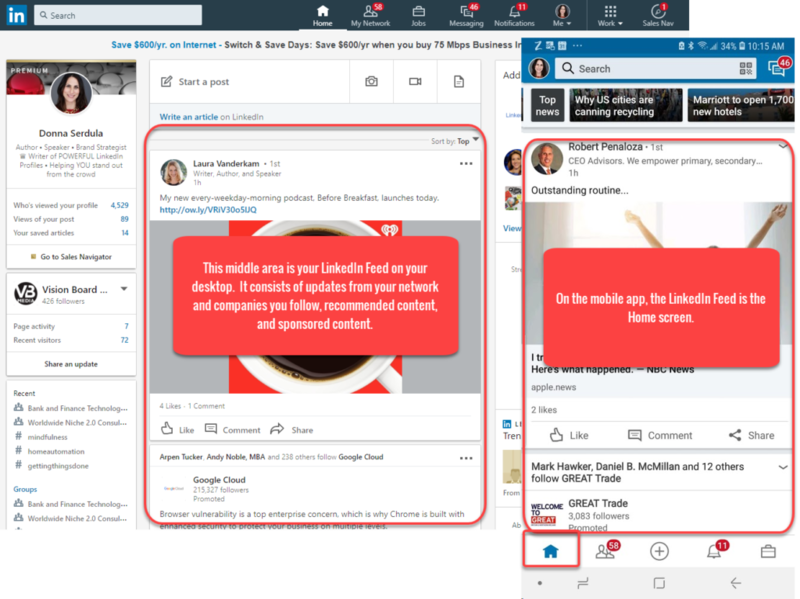 When you post on LinkedIn, you might think that this information, will immediately show up at the top of your connection’s LinkedIn Feed immediately upon posting, but it doesn’t. Here’s the thing, the LinkedIn Feed by default does not display posts chronologically. Instead, the LinkedIn Feed displays TOP posts. What does TOP mean? It means content that is relevant, interesting, and popular is shown ahead of content that isn’t, regardless of the time the content was posted. As you can see, there is an initial quality check of the content. If your content passes, it will then display temporarily. 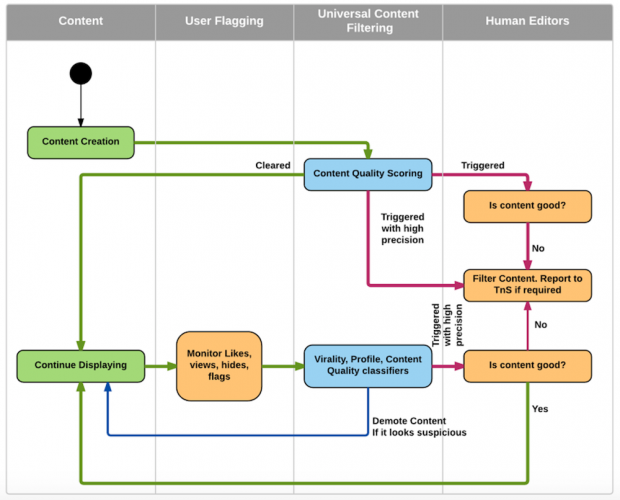 LinkedIn will monitor the likes, views, flags, etc… to determine another check of quality. If your post passes and people like it and engage with it, the post will continue to display on users’ LinkedIn Feed. The more engagement and activity your post garners, the longer it will display. But I want to see my old posts, where can I see them? 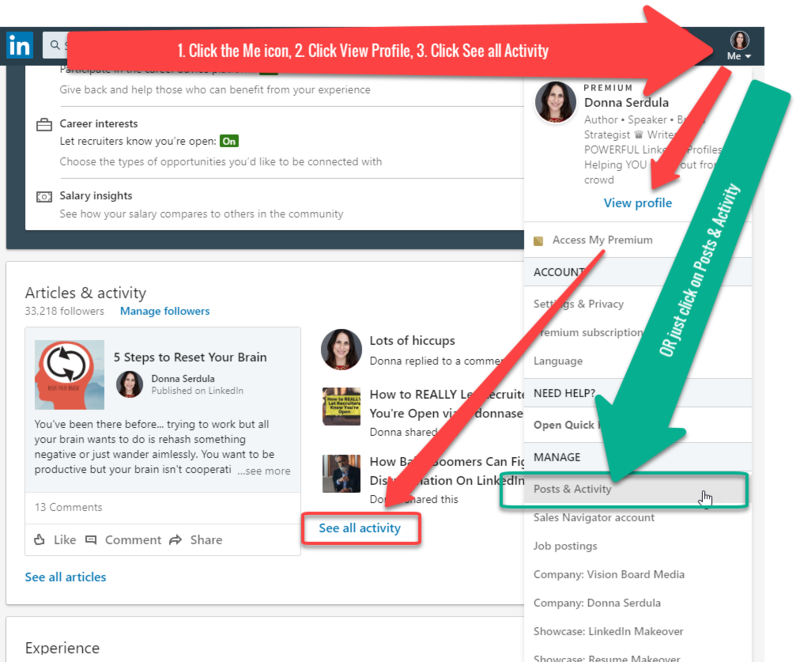 Once you have posted on LinkedIn or published an article, you can see your posts, articles, and activity on other people’s post on your Recent Activity page. You can access this page either through your LinkedIn profile page OR the Me droplist by clicking Posts & Activity. Your MOST RECENT activity shows up on your LinkedIn profile. 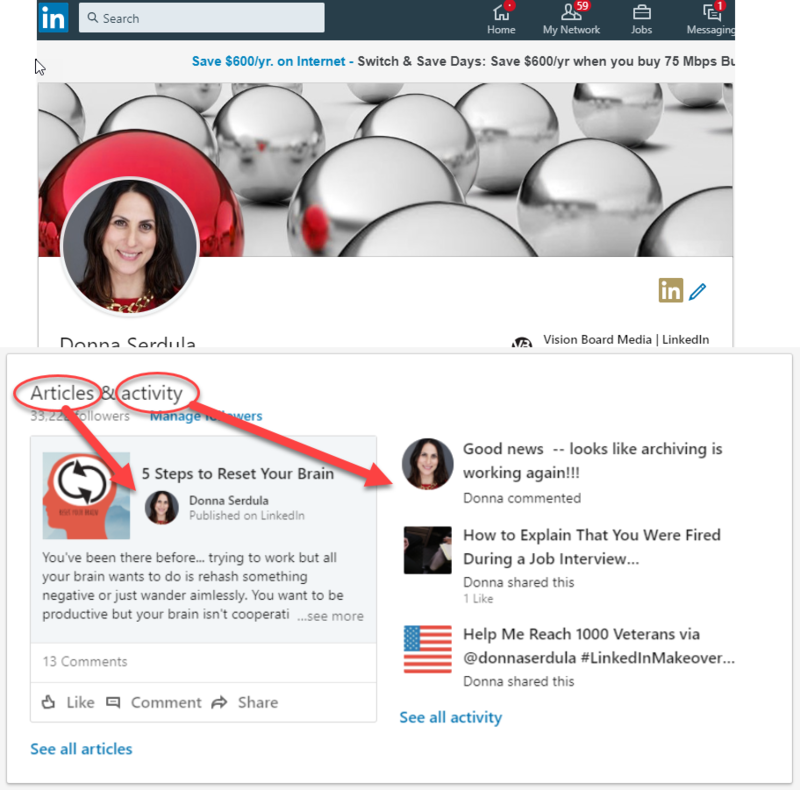 I am not talking about just posts and activity– if you LIKE, comment, or share content on LinkedIn, the last three activities will show up spotlighted on your LinkedIn profile. The rest of your activity can be viewed by clicking the See all activity link. This is huge. Please be careful when liking content! I remember a man called me up one afternoon. He was a job seeker and was struggling in his job search. He asked me to help him. The first thing I did was pull up his LinkedIn profile. It didn’t take me long to notice the issue. He was active on the naughtier side of LinkedIn — liking and commenting on unprofessional posts. I found myself blushing. Even though LinkedIn monitors their feed, unprofessional content still gets through. There was a very clear reason why recruiters and hiring managers weren’t reaching out to him. When I told him the issue, he was surprised! He had no idea that his activity was so visible on his profile. I want you to be active on LinkedIn. I want you to like, comment, and share content. Just be careful that the content you like, comment, and share supports your professional brand and values because it is linked to you and resides on your LinkedIn profile.